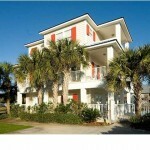 Located on a quiet street in Miramar Beach, this three-story beach home with Gulf views is a perfect vacation retreat. Current rental company is GUARANTEEING $60,000 in gross rental income per year. 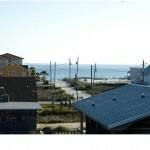 As of Feb. 1, 2012, the house has 84 nights rented for a total of $30,832.00. This five-bedroom, four-and-a-half bathroom home has a pool and a large open floor plan that is ideal for entertaining and family retreats. When you enter the first floor, you’ll find tile floors, which run throughout the house, and three bedrooms and two full bathrooms. A bunk run with two bunk beds can sleep four comfortably. 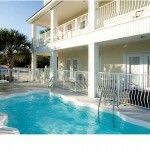 Two guest rooms face south and both have access to the first-floor deck and pool area. 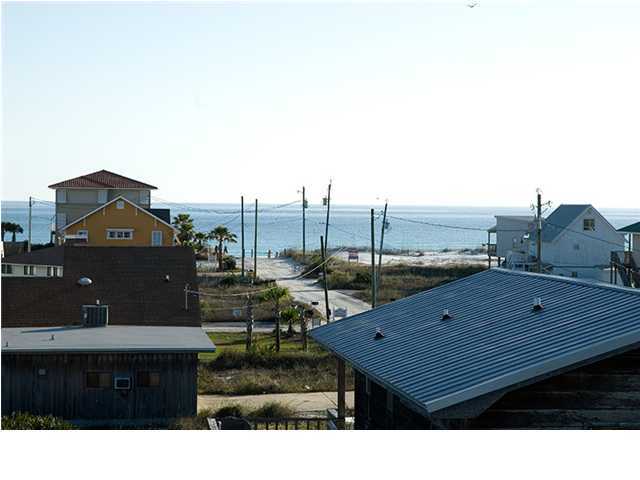 Walk up the stairs to the second floor, which has great views and breezes from the wrap around balcony. The open living, dining and kitchen area is a perfect spot for bringing the family together to spend time. There is also a half bathroom and laundry room on the second floor. The third and top floor has two more bedrooms, including the masters suite. 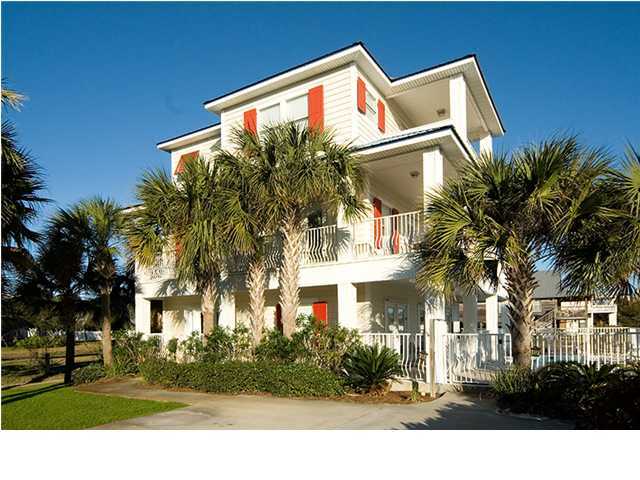 The master bedroom as a walk-in closest, ample bathroom and a private balcony facing south capturing views of the beach and Gulf of Mexico. This home has space for six cars to park and is just steps for a small park and beach access at the end of Tang-O-Mar Drive. The wide, white beach has enough space to set up camp for a day of relaxing and swimming. 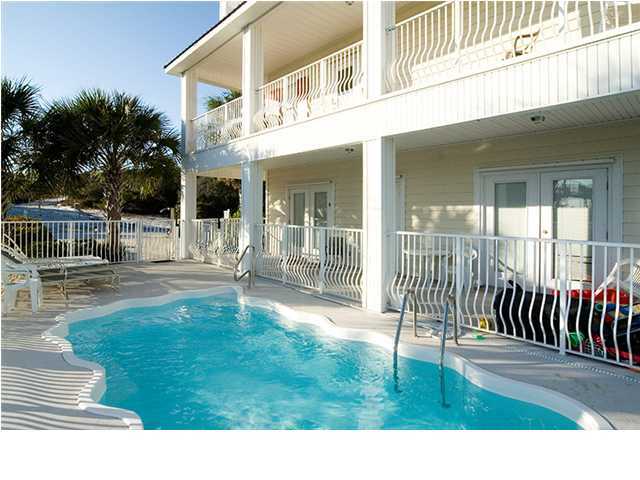 Tang-O-Mar is about a block away from the shopping and restaurants at Silver Sands Outlet Mall and Sandestin Golf and Beach Resort. Current owner is paying $3,018 per year for homeowner’s and wind insurance. All room dimensions and square footage are approximate and should be verified by the buyer.